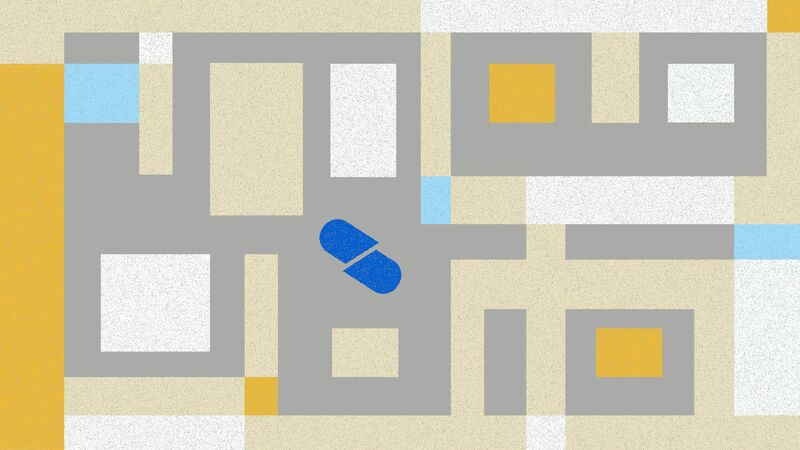 The system for setting drug prices in the U.S. is a labyrinth. It can be enormously frustrating for patients — and enormously rewarding for the drug companies, pharmacies, doctors, hospitals and assorted middlemen that profit along the way. The big picture: The cost of a drug depends on many factors: whether it’s a brand-name product or a generic; secretive industry negotiations; even the way the drug is administered. Each patient's price may be different. “There’s so much variability, and that’s where all the money is being made,” said Eric Pachman, a former pharmacy manager who co-founded the drug data firm 46brooklyn Research. How it works: Using publicly available data and common industry assumptions, Pachman built out a rough, simplified sketch of how money changes hands for a “typical” generic drug. This drug would cost about $3 to make and would sell for about $15. So, what happens to the other $12? It’s split among the manufacturer (about $3), the pharmacy ($1.50), a wholesaler ($2), and, finally, the largest share goes to the company that manages your insurance plan’s drug benefits ($5.50). The numbers would look a lot different for the more expensive brand-name products that drive most of America’s drug spending. Those are the ones you’ve probably heard of, like the Epi-Pen or Humira, the world’s top-selling drug. They often start with high sticker prices. Humira’s is more than $58,000 per year, according to Elsevier's Gold Standard Drug Database. Different insurance plans negotiate different discounts off that list price. All of them are kept secret. The negotiators also keep some of the savings for themselves. That number, too, is a secret. There’s a whole different pricing system for drugs administered by a doctor, and yet another system for certain hospitals. The bottom line: It’s a free-for-all behind the scenes. “The system is vulnerable, and you can abuse it,” said Mick Kolassa, a retired consultant who helped drug companies with pricing practices for almost 40 years.